Support Grey-Save when you shop through iGive.com. This site is dedicated to greyhounds. 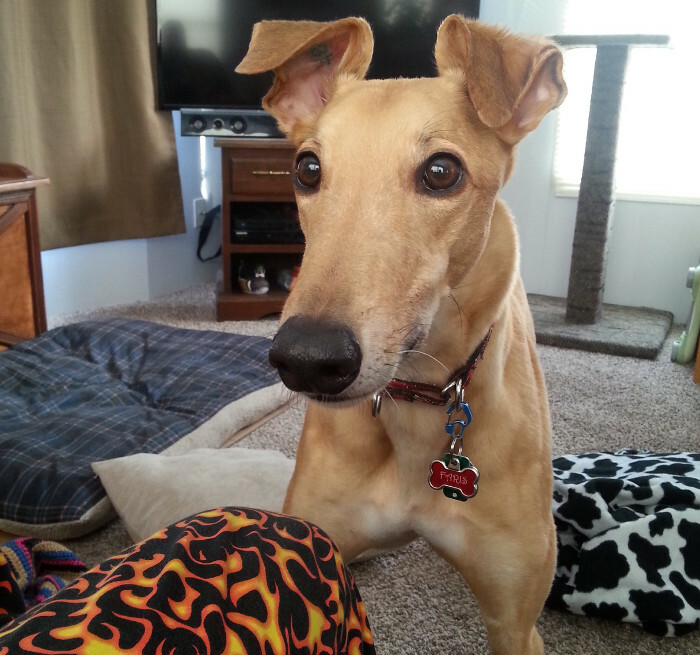 Here you will find information about greyhounds, caring for greyhounds, and greyhound adoption. We offer good solid information and a few photographs. Enjoy! Our application is available online. Please see the Application Process for a link to our application. Won't you please consider joining us and supporting us at an information table or a parade? Our civic events are enjoyable for us, but they are also a valuable tool for introducing our greyhounds to the general public. This is critically important in our effort to find new homes for these wonderful pets so that we can share the unique gift of a greyhound's love and devotion with more families. We need your help to make these events a success! Just donating several hours of your time once or twice a year can be a HUGE help. Please see Upcoming Events for a list of our currently scheduled events. Grey-Save is listed as a charitable organization through iGive.com. If you shop online and begin the process at iGive.com you can select from a list of retailers who will make a donation back to Grey-Save when you make a purchase. Clicking on the iGive icon will take you directly to the sign-up page for donations to Grey-Save. Donation amounts can reach as high as 10%, so it is a good way to help us or any charity of your choice. There is a vast quantity of quality name retailers who participate. You have the ability to select the charity of your choice as you begin the shopping process through iGive.com. Grey-Save encourages pet owners to have a disaster plan in place to care for their pets in the event your area is evacuated. Here in Erie we tend to feel safe and secure from the major disasters we see on television. We often fail to recognize the risk posed by the transportation of hazardous chemicals on our roadways and railways, an active earthquake zone in Ashtabula County and Lake Erie, the possibility of tornados (the Albion tornado was an F-4), the potential loss of power for weeks due to ice storms, or the Perry Nuclear Power Plant to our west. You may not have time to develop and implement a plan should a disaster occur. You may only have minutes to make decisions that will affect your family and pets before local communications systems fail. Having a plan in place in advance for your entire family including your pets is a sound idea. Please contact Alan at 814-825-7825 if you have questions or would like some guidance in this area.